A few days back i had a conversation with my friend about his newly bought car. While discussing the features of his new car, he mentioned about driving on boost for gaining more performance from the vehicle. This struck me for a second and i asked him about how did he manage to engage his car into boost mode?. Without a surprise, his answer was just the way I expected it to be. He had been driving with ‘B’ which stands for “Braking” whenever he needed an extra boost. He drives a Toyota Premio and just like most other Japanese cars it comes with a CVT-i transmission. CVT has few modes which include D,S and B. While P (Parking), R (Reverse) and N (Neutral) is very commonly known but some people have absolutely no idea what D,S and B stand for and what is their purpose. Before i proceed let’s talk about these modes first. P is for parking so that your car stays in one place when you leave it somewhere. D stands for Drive and it’s the best possible mode to use for moving your car with using the least fuel possible. It holds the gears for short times though it reduces the performance but it gives maximum efficiency. S stands for Sports which in reality won’t turn your car into some sort of super car by any means but it does squeeze out more performance out of the car by holding the gears for a longer time than D. This gives more throttle response and better acceleration with the expense of fuel economy. B stands for Braking and this mode is used when you are driving towards the steep incline or going downhill. B will prevent your car from crawling backward while driving up and will prevent your car to run too fast while coming downhill. This works by increasing the engine drag and taking the engine RPM much more higher than S and D. In the result the car will produce more torque at lower speeds and relax the most load off the brakes which have to work constantly in such situation. In some cars, it is also labeled as L which stands for “Low Gear” and servers the same purpose. 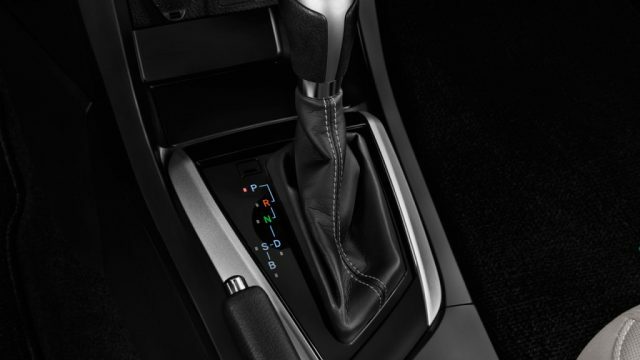 Now you might have a clear picture of how a CVT transmission has different modes for different situations. Driving a car on ‘B’ at higher speeds can cause damage to both engine and transmission. The engine will not only produce more resistance at high speeds but driving at higher RPM most of the times can prove the wear and tear of different components and fluids. This means you would have to visit a mechanic much earlier than you think. Most of the car components depend on your driving styles and habits. Things like engine oil, transmission oil require changing and driving your car at higher speeds with ‘B’ will require the change much more often and reduce the overall quality of the components of your car. So only use the appropriate mode for every situation and do some research on the things you don’t know about your car to avoid any mechanical damage to your car.